If you ask my brush babies, they would tell you the kind of bad mother I am. I mean, I do prefer some of my brushes more than others. 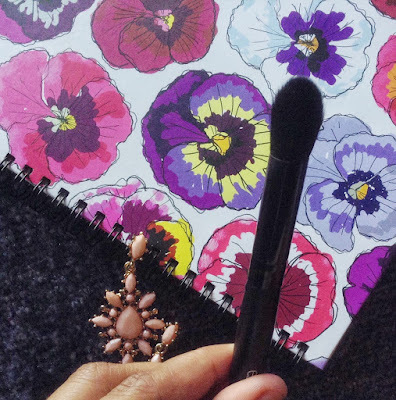 I go through phases where I am obsessed with a certain something, candles, foundations, palettes, and I used to be weirdly obsessed about brushes during the earlier half of 2015. 1. MakeupGeek Flat Kabuki Brush: I was so obsessed about the brush, that I had to buy a backup. 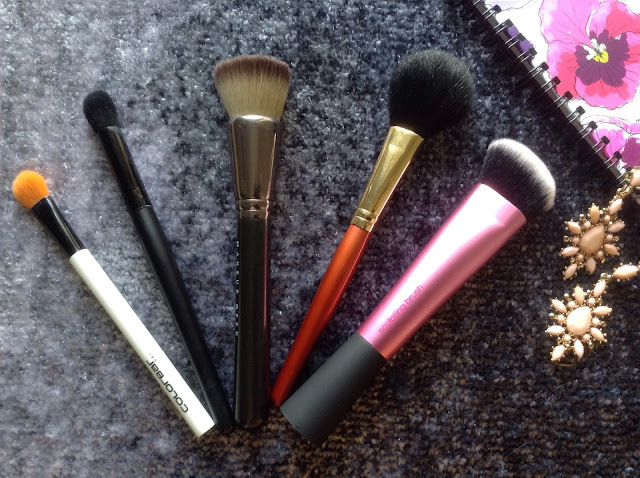 The brush bristles have the perfect density to apply foundation and are soft on the face. The finish is super flawless. I had a major issue with the length of the handle (was a little long, making it hard for me to have a close look in the mirror), but the newer version has the problem sorted. Bristles are synthetic and there is no shedding or bleeding while cleaning :). 2. 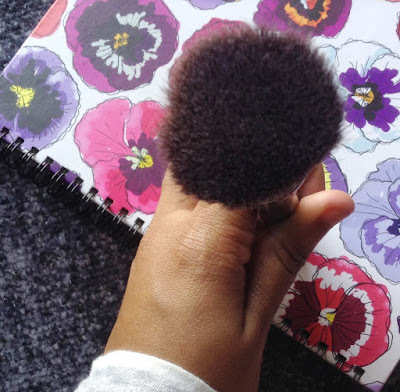 Vega Blush Brush: I know, I know, you might be wondering what this ratchet looking black pocky brush is doing in my top brushes list, especially when I have a soft RT blush brush! 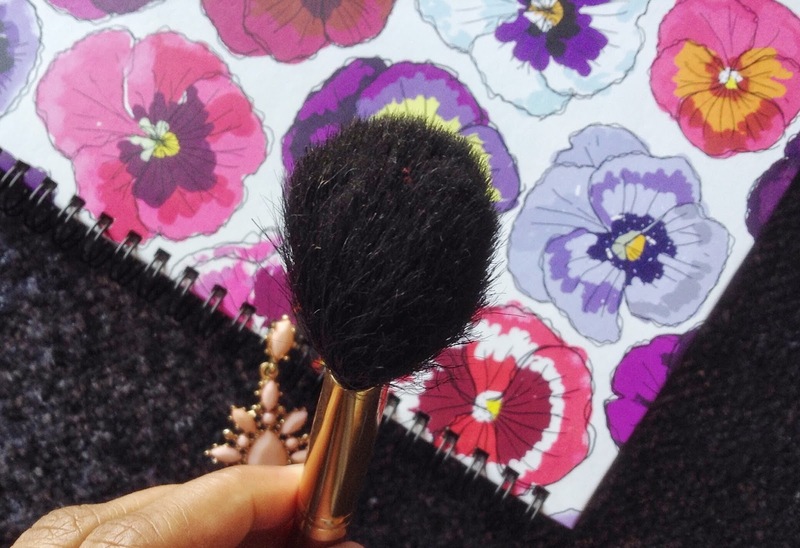 I just can't get rid of my first blush brush. 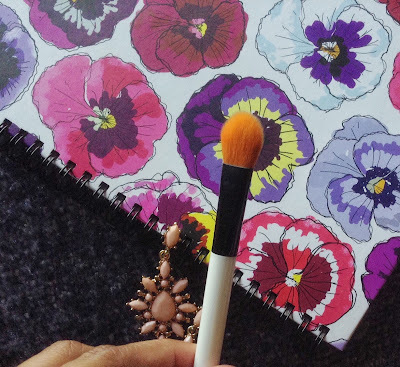 It picks up the right amount of color, and it is small enough for my face. Also, as the bristles are black which helps me to see the amount of product that I pick up. 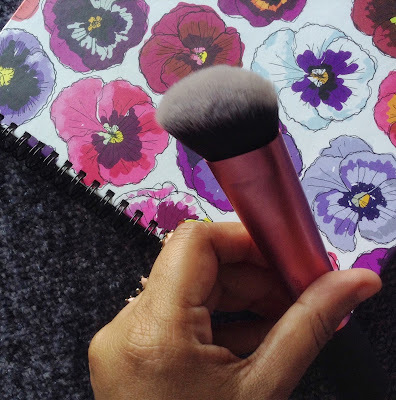 The brush might not be the softest one in the market but it does tick all the right boxes in the perfect blush brush checklist. 3. Colorbar Flat Eyeshadow Brush: To be frank, I've never used this brush for its intended purpose, ie, on the eyes, instead, I use this brush to set the under-eye concealer. I gently pack on the brush with my Chambor loose powder and pat it over my concealer. This brush has not given me any troubles and the bristles are synthetic. 4. Elf Concealer Brush: I was going through this concealer only phase and this brush has served me well. It made it to the 2015 favorites list. You can read about it here. 5. RT Angled Contour Brush: Finding the right contour brush and the journey itself is worth a whole post. After my tryst with the disappointing Sigma contour brush, I ordered this brush on a whim from Amazon. 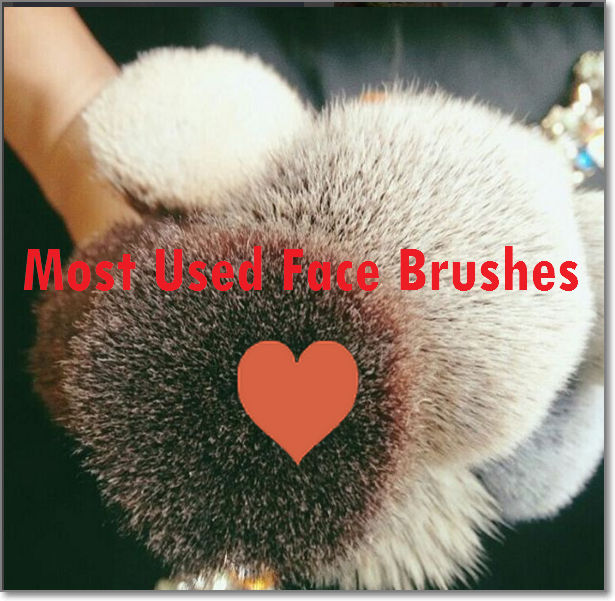 The bristles are firm enough for a super, blended contour, but also soft enough to be loved by my face. The angle makes it easier to chisel out that non-existent cheek bone. So these are my most used, dessert island brushes. What are yours? 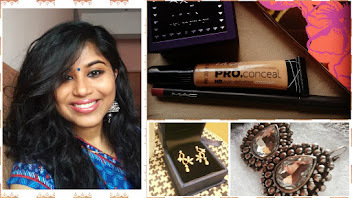 PS: I do intend to do a similar post for eye brushes.